The sensor fusion test measures timestamp accuracy of camera and other sensors for Android phones. 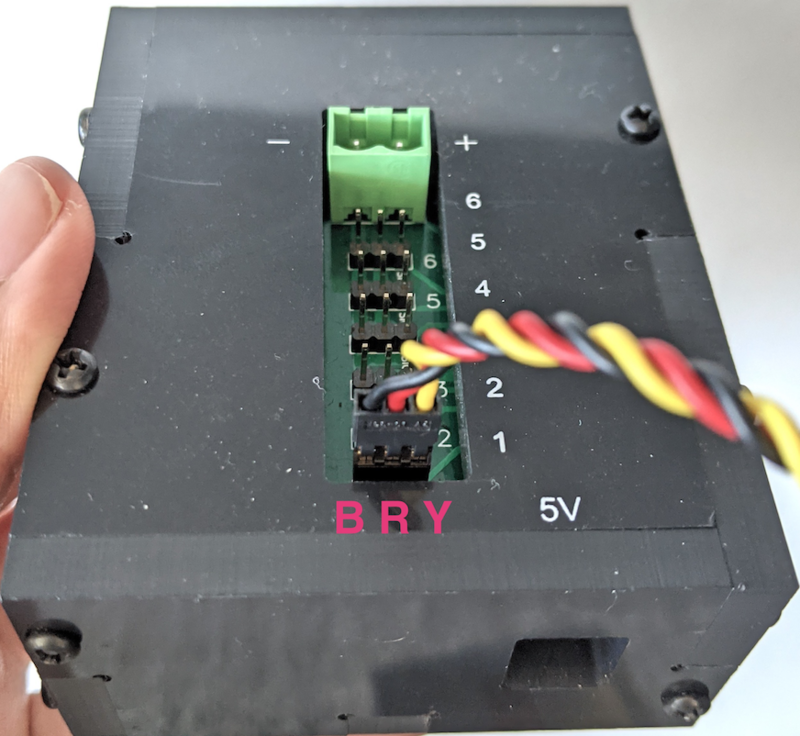 This page provides step-by-step directions on how to setup the Sensor Fusion test and Sensor Fusion Box for the first time. Use the male-male cable to connect the two lights on the bottom ends of the lights as shown in figure 2. Secure the cable to the bottom of the box to keep the cable from interfering with the operation. Thread the unconnected end of the conversion cable through the round hole that exits the box, then connect it to the power cable for lighting. Plug the servo connector into the servo control. 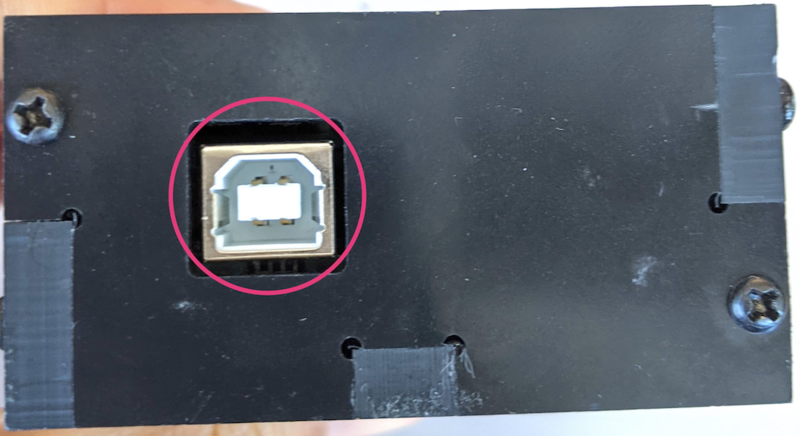 Be sure to insert the connector oriented to the corresponding colors as labeled (Y = Yellow, R = Red, B = Black), as reversing the order could damage the motor. 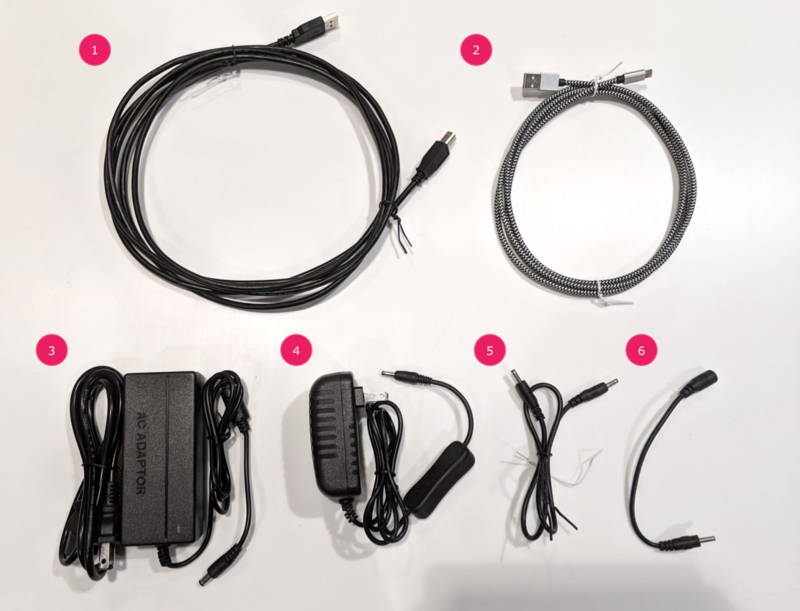 If the cord is too short, use a servo extension cable. Connect the servo control with its power cord (the lighting and servo control have independent, dedicated power supplies as shown in figure 5). 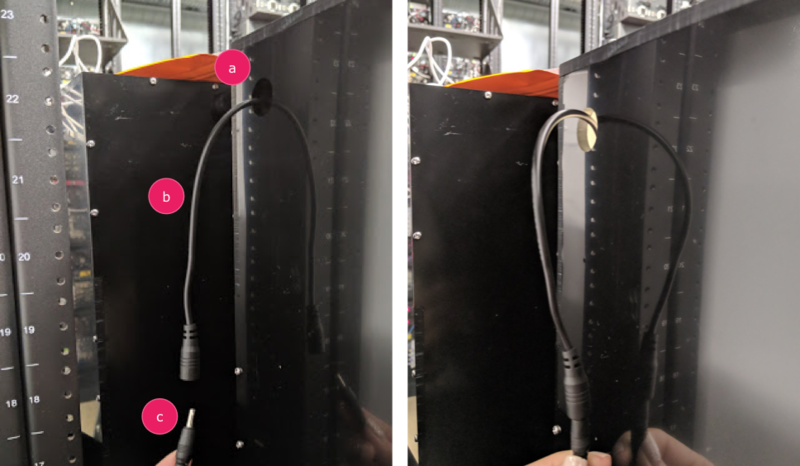 Use the USB A to B cable to connect the servo control box to the host (machine that is running the test). Set the phone on the fixture and clamp it down. 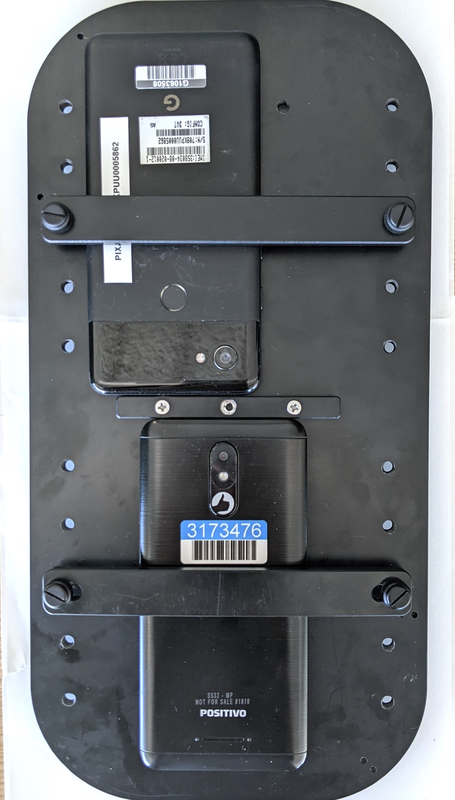 Phones should be placed in a manner where the USB cords are located at the periphery of the phone mount and the cameras are near the center of the mount. The upside-down thumb screw provides back support while the other screw tightens the grip by turning right. For more details, see video on how to attach the phone. 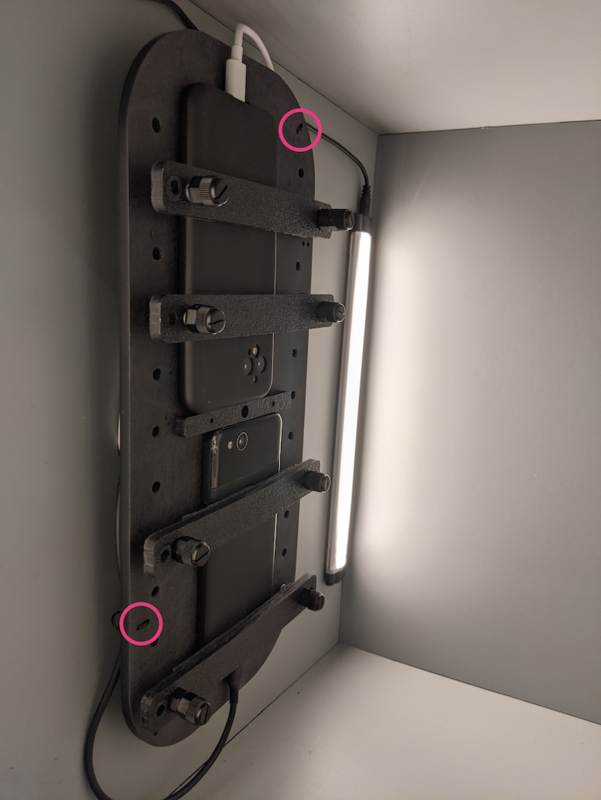 Use a zip tie to hold the phone USB cord to the fixture plate and lead it outside the box through the exit hole. Plug the other end of the cord to the host running the test. To determine the Vendor ID (VID) and Product ID (PID), use the Linux command lsusb. By default, the VID and PID are set to 04d8 and fc73 with channel "1". 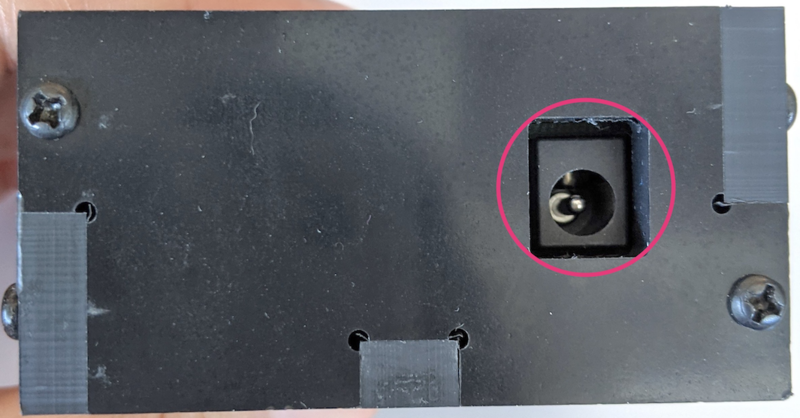 You can adjust the speed of the motor and the distance the phone travels using the resistance ports (labeled A, B, and T) on the side of the controller box. Upon first receiving the box, power up the box and determine the initial position. 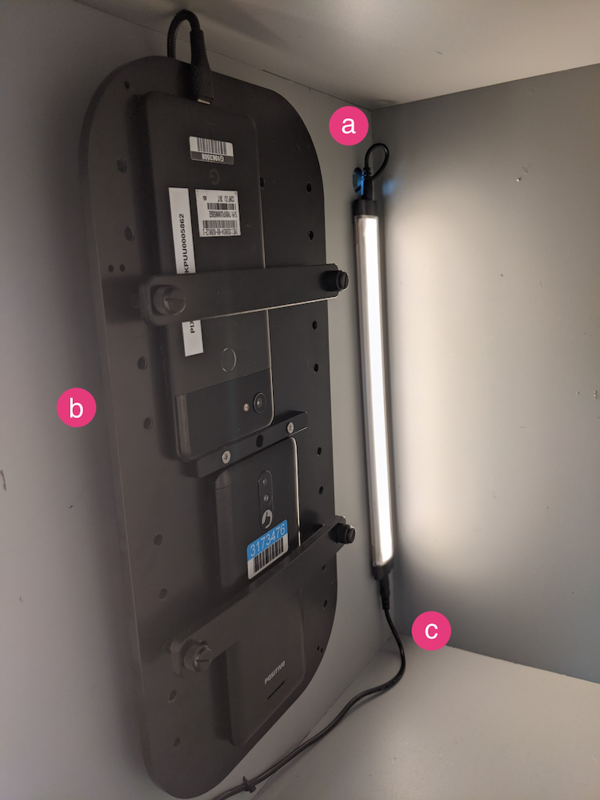 If the initial position on power-up is not close to 12 o'clock, unscrew the phone fixture (single Philips head screw in mount hole) and rotate the phone fixture to 12 o'clock. Ensure the phone fixture travels a full 90 degrees (from 12 o'clock to 9 o'clock when looking at the phone) for each rotation. 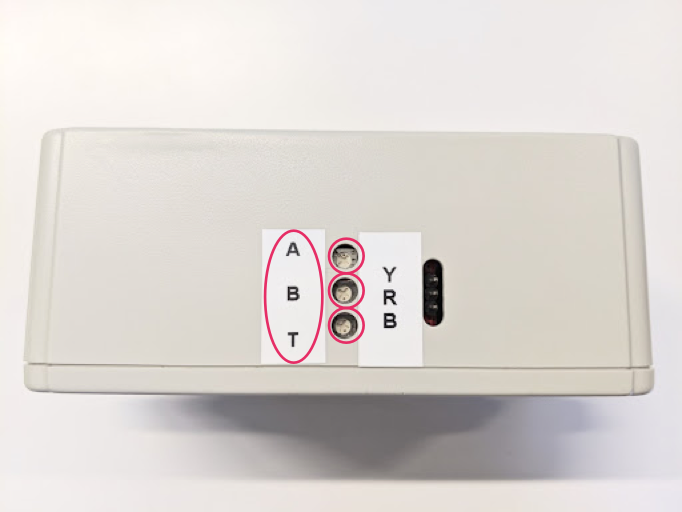 To adjust the distance traveled, use the A and B screws (where A is the starting location and B is the final location). Adjust the rotation speed to travel a full rotation in 1.5s. Turning the resistor pot clockwise slows down the motion. A is the start position of the fixture. B is the end position of the fixture. T is the speed motor rotates. For more information, see video tutorials.